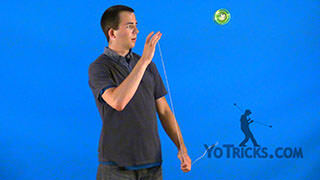 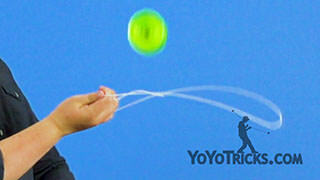 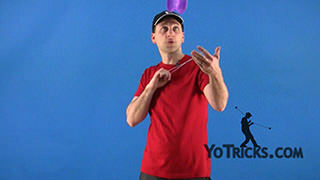 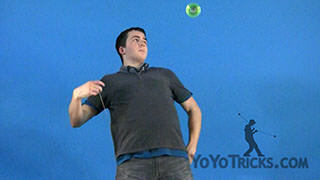 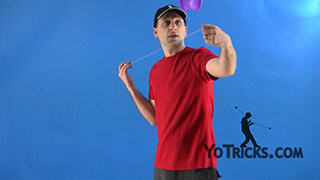 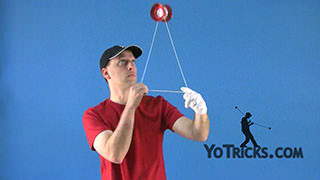 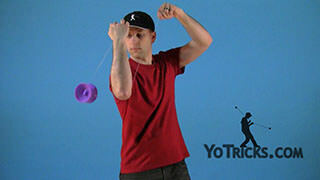 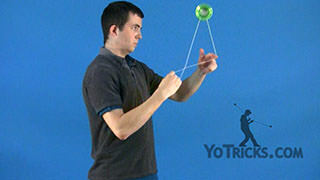 Learn how to do the Offstring (4A) yoyo trick the Underhand Whip. 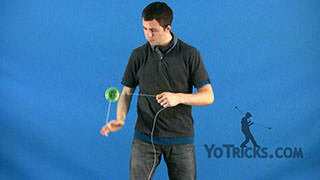 Underhand Whip Yoyo TrickThis is the Underhand Whip, and it looks like this. 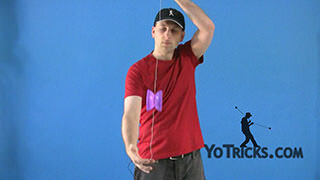 To do this trick you are going to start off by pinching the string between your thumb and index finger of your yoyo hand. 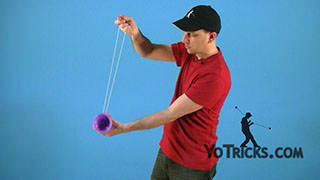 Then you are going to separate the strings so that the top string ends up on the inside of your body and then you are going to pop the yoyo to the outside of your body. 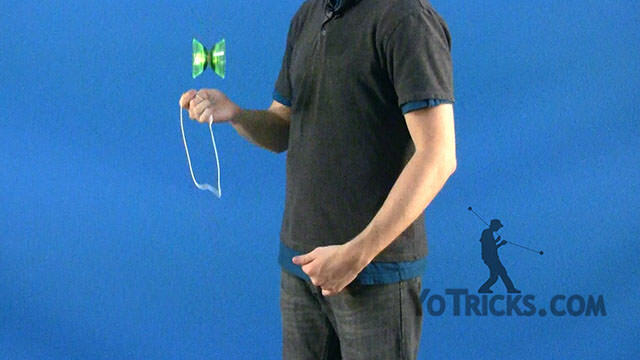 Then, to do the whip, you are going to lift your elbow up in the air and keep your palm down on your yoyo hand and you are going to make a circle motion and send the string under the yoyo and catch it back on the string. 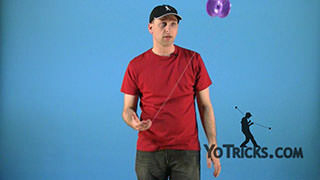 You are going to start with your palm down, and then you will notice that when I catch the string I am catching it with my palm facing up in the air. 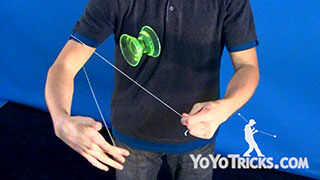 I am going to feed the inside string of the whip into the gap of the yoyo. 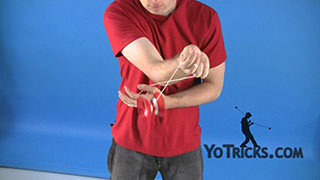 You will also notice that when I do the trick that I am getting my hand as close to the yoyo as possible when I do the whips. 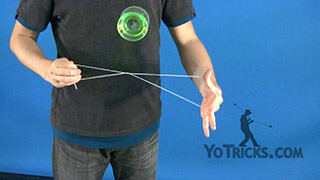 You will see that my hand is almost under it. 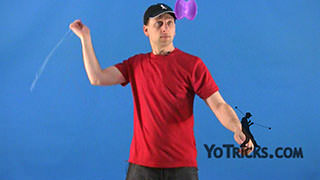 That way I can be more accurate in my catches. 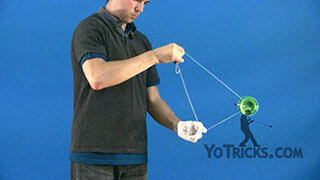 I move my hand a little bit out of the way. 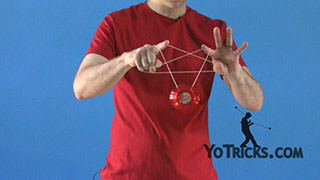 That way the yoyo will land on the string instead of on my hand. 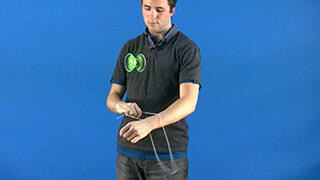 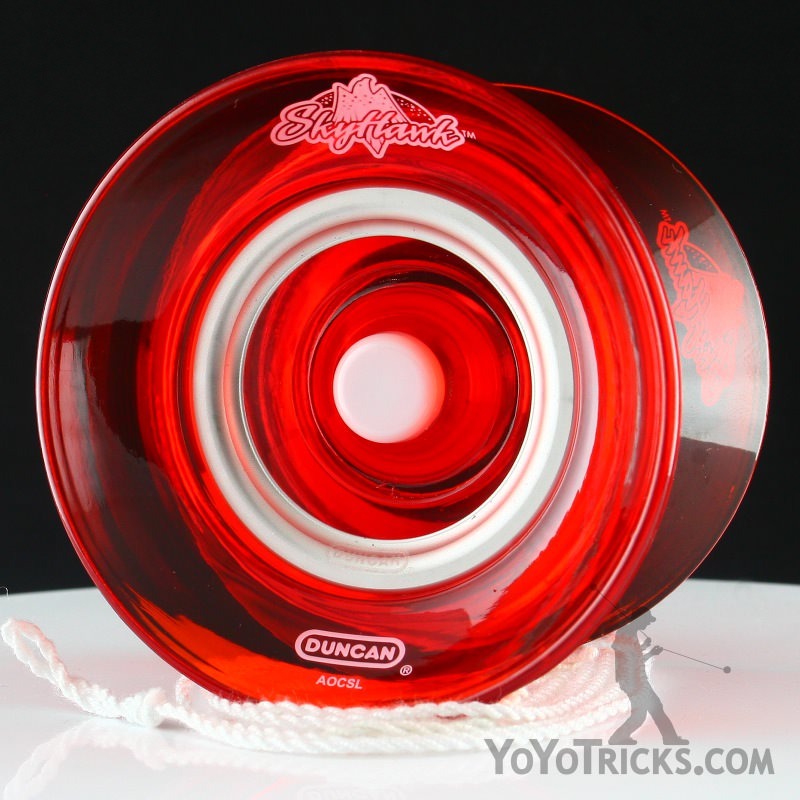 The also help ensure that the string is parallel to the ground when the yoyo feeds through the loop. 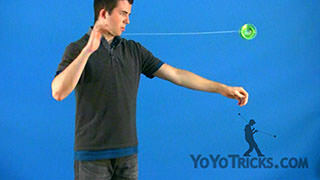 You can add some variations to it. 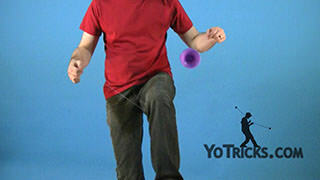 You can go under the leg. You can go behind the back. 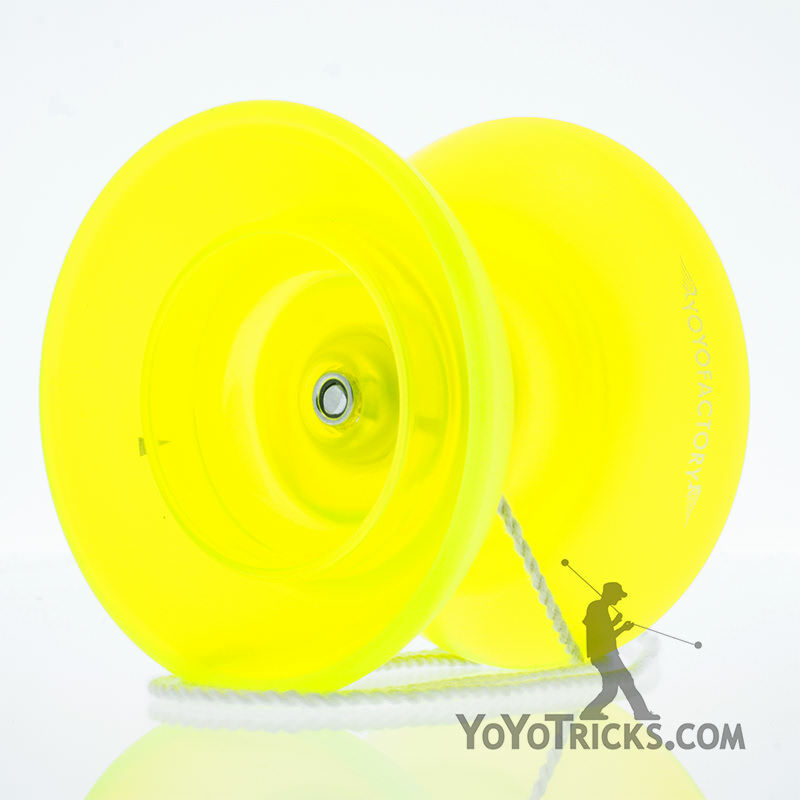 Or you can even go double. 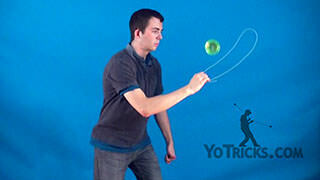 That is the Underhand Whip.